Get the best estimate to resolve one of your biggest exterior issues. We can preform virtually any repair or touch up for you at a price you can afford. Prior to working with us, we always conduction an inspection and offer a FREE estimate, so that you know how much your repair will cost. Expect the best quality work in the area. All of our services are guaranteed for 10 years, so you can expect the highest quality every time you use us. We strive for perfection in all of our work and always make sure you are fully satisfied with the end result. 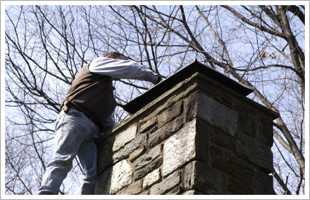 Unblock and fix your chimney today.